Where is this place where every door is closed? Where is this place where people are simply calling God? Where is this place where the sound of Allah-o Akhbar gets louder and louder? Where is this place where so many innocent people are entrapped? Where is this place where no one comes to our aid? Where is this place where only with our silence we are sending our voices to the world? Where is this place where the young shed blood and then people go and pray? Standing on that same blood and pray? Where is this place where the citizens are called vagrants? Where is this place? You want me to tell you? another, and "Don't you think." it's time you cut your hair." had been, but straight at me. Ellen Bryant Voigt was born and raised in VIrginia. Her poetry is influenced by her background in music. She has written several books of poetry and served as the Chancellor of the Academy of American Poets. She currently lives in Vermont and teaches for the Warren Wilson low-residency MFA program. C. D. Wright was born in 1949 in Mountain Home, Arkansas. She is the author of numerous books of poetry and currently teaches at Brown University in Providence, Rhode Island. I love Carol Ann Duffy's "Prayer," and the poem is even more remarkable when you consider how strictly she's stayed true to the Shakespearean sonnet form--and how well she's hidden it. The last line, which I'm told is familiar to Brits, is somewhat lost in translation. It's part of a nightly radio maritime weather forecast. at the minims1 sung by a tree, a sudden gift. Carol Ann Duffy was born in in 1955 in Glasgow, Scotland. She was recently named the first female (and the first Scottish) poet laureate in British history. Rainer Maria Rilke was born in Prague in 1875. He resided throughout Europe during his lifetime, including a 12-year residency is Paris, where he befriending the famed sculptor Auguste Rodin. 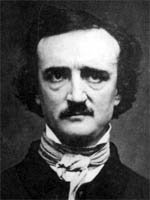 His best known work includes his Duino Elegies and his Sonnets to Orpheus. This is good advice to anyone just starting to read poetry. And if you've ever been in a poetry workshop, you know what Collins is talking about in the last two stanzas. 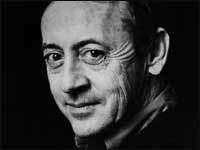 Billy Collins was born in New York City in 1941. He served as the Poet Laureate in 2001 and is the author of several books of poetry.